Is it snowing in Ski Cape Smokey ?¡Gracias! 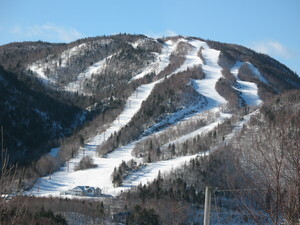 Ski Cape Smokey in Canada (Nova Scotia) is a tiny ski resort with just two ski lifts but it does boast a respectable 305 metres (1000 feet) of vertical descent. 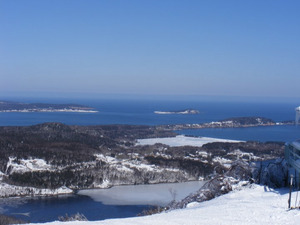 Ski Cape Smokey has 16 trails. Ski Cape Smokey is best suited for intermediate skiers and snowboarders but there is a also a lot of terrain for beginners and experts too. We have no information about the existence of any cross country ski trails at Ski Cape Smokey. Over half of the trails at Ski Cape Smokey are covered by snowmaking.